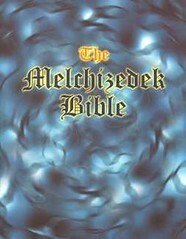 The Melchizedek Bible is the work of David and Mark Pedley. They are associated with the Dominion of Melchizedek; this is an entity that refers to itself as an "ecclesiastical and constitutional sovereignty". 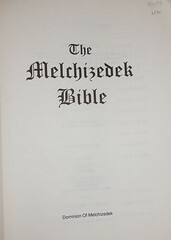 The Pedleys and the Dominion of Melchizedek have been involved in a number of scams over the years; details of these scams can be found at the Quatloos website. For sample verses from the Melchizedek Bible, click here. 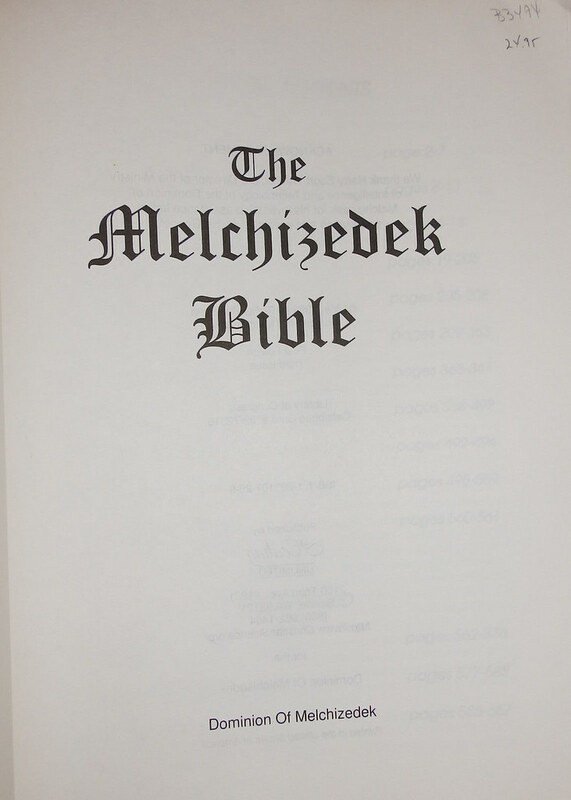 Comments: A "Key of David" is printed; it contains a glossary, explanations of the Bible and questions. The King James Version is printed in a parallel column.